Calendar Set There are 3 products. 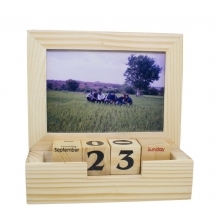 The pretty calendar set, equipped with the most important photo frame.Made of high quality pinewood, with full matt finish for added glamour.Easy to operate calendar cubes and photo changing mechanism. 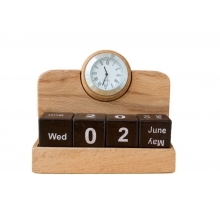 Wooden Calendar set with clock Best desk organizer. Ideal for Office / bedroom / drawing room. Made of high quality beach wood. Crafted by skilled artisans from Channapatna. 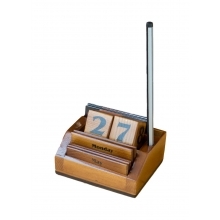 Wooden permanent calendar set for desk grooming.Made of pinewood, lightweight and handyEnhances the beauty of your work desk.Best gift for new year, birthdays, and anniversary.